In the annals of gaming history, January 21st, 1999 marks the original launch day of Super Smash Bros. (Nintendo All-Star! Dairanto Smash Bros.). From humble beginnings, the Nintendo party/fighter game released as an unassuming surprise has transformed into a dynasty of video gamedom. It threw Nintendo’s most popular creations into a fighting game that played like no other. And unlike other popular fighters of the late-90s, there was no arcade version: it was only on Nintendo 64. If you were a Nintendo 64 owner of the era, surely Super Smash Bros. caught your fancy. 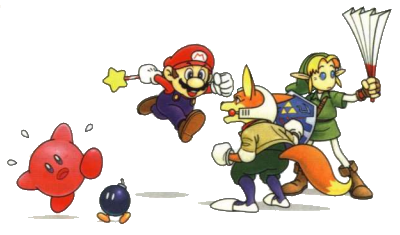 There was nothing like it before: Nintendo freely pitted their lovable characters together to beat the stuffing out of each other, and it was brilliant fun. Smash Bros. didn’t just come out of a vacuum, inspired by a slew of concepts like sumo and the Japanese game of marbles Ohajiki. Putting these side-by-side with Smash Bros. definitely shows how alike they are, both centered on smashing or sending your opponent outside the thin lines of combat. This came from the mind of none other than Masahiro Sakurai, the creator of Kirby’s Dream Land. 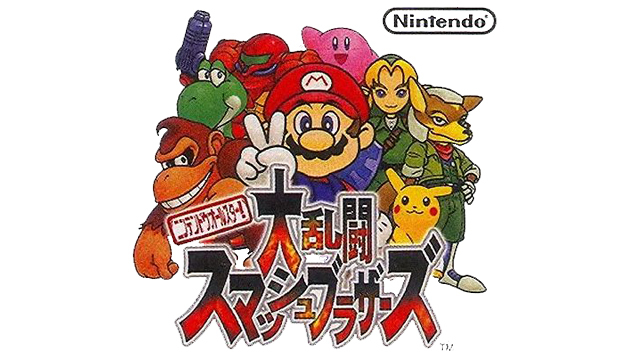 Together with the help of then-HAL co-worker Satoru Iwata, they worked on a skinflint budget and took the risk of adding Nintendo’s mascots to a generic fighting game concept to sell the idea and bring it to life. 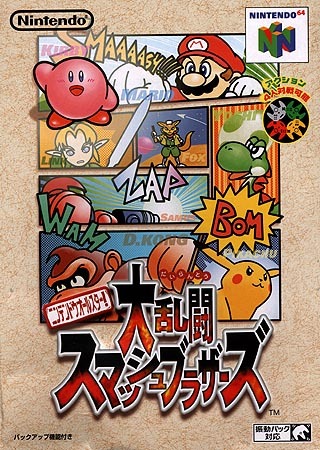 Super Smash Bros. broke all the rules of fighting game convention back in 1999. Instead of health bars, there are percentages. By pummeling your opponents to raise their damage, you could send ’em flying out of the arena. Every playable fighter, from Mario, Link, Kirby, and so forth, felt like they borrowed from fighting game archetypes while adding twists from their own gaming franchises. Every character shared the same basic controls, but offered enough differentiation to play uniquely. So, Kirby can copy the abilities of others. Samus and Link offered projectile games using their own bombs or lasers, and Donkey Kong was the resident pummeler. And every stage on offer also borrowed from respective Nintendo franchises, like a brawl across from Peach’s Castle or in Saffron City. In turn, each stage has their own hazards that respected the source material, like an Arwing in space set to blast you on top of the Great Fox ship. With only 12 fighters max, nine stages, and not much else, the original Super Smash Bros. can feel a bit rough around the edges. Besides looking a wee bit dated, a lot of the quality-of-life and gameplay mechanics we take for granted are just not present, making for a drastically different combat experience that’s more limited in scope. That said, the novelty of the core crossover concept is so irresistible that you tend to forget those limits. It was up to its various sequels, starting with 2001’s Super Smash Bros. Melee, to raise the bar on the series’ expectations and quality. Since that watershed sequel, Super Smash Bros. has gotten faster, more intense, and varied in what is possible to see and do. More modes, more characters from Nintendo and outsider companies, and extra collectibles has ballooned the franchise into a far richer experience. Any Smash Bros. game could be a player’s first touchstone to learning more about video game lore. 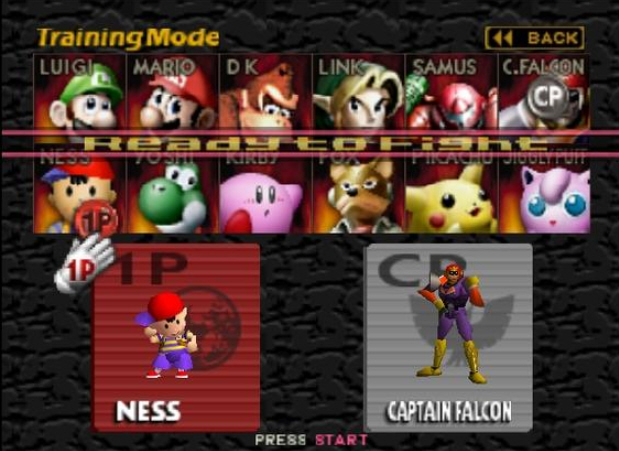 I should know; when I first played Super Smash Bros., I didn’t know who Samus, Ness, or Captain Falcon were. With later games adding more niche and obscure characters and game worlds to the mixture, this could become an issue for newer generations of players. 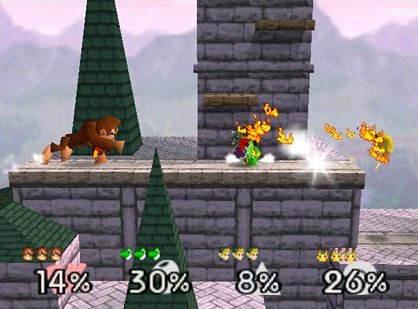 As a late-ish N64 release, the original Super Smash Bros. was the perfect party game for a multiplayer-centric console. It offered simple, accessible design with plenty of depth. It also serves as a dedicated love letter and museum to Nintendo history. It’s become a Nintendo staple that pushes the boundaries of content, presentation, and scale for its own series and all others on its respective platform, which is why every new installment was so anticipated by the industry every time. With at least six upcoming DLC characters and stages set to appear in the latest game, Super Smash Bros. Ultimate throughout 2019, who knows what Super Smash Bros. will amaze us with next. From a humble original game on the Nintendo 64, Super Smash Bros. has been a DK Barrel full of endless surprises. Here’s to another 20 years.